One of the most common questions I get asked about Cuba is how to plan a 1 week trip and to see as much as possible of the island. 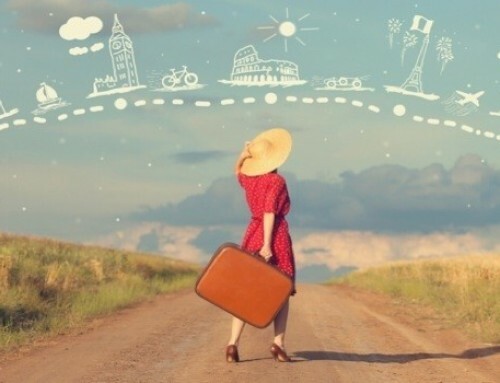 Honestly, the answer to this questions depends a lot on your personal travel experience and what you plan on getting out of this trip. 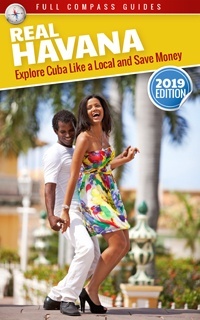 If your goal is to meet locals and interact with regular Cubans, then I suggest you limit your traveling and focus on just one or two main places. You will not meet people if you are wasting hours driving around. You meet people by hanging out in cafes and walking around crowded plazas, chatting with strangers and having a good time. 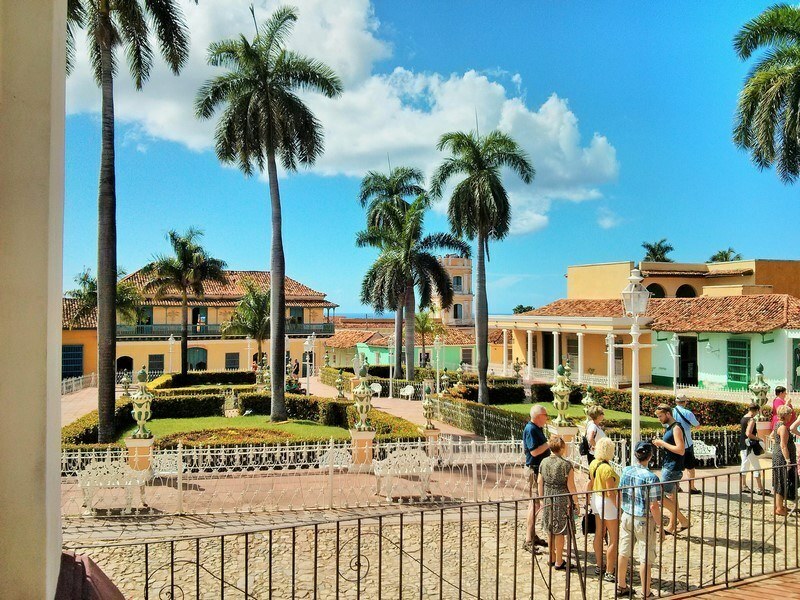 If your goal is to simply tour the whole island in 1 week, then for sure, head out on the road, but realize first that Cuba is one of the largest islands in the world and that the road system is antiquated. A road trip in Cuba means you will probably end up wasting half of your trip looking out of a car window at nothing more than dry grass and dirt, as you coast along the main highway. 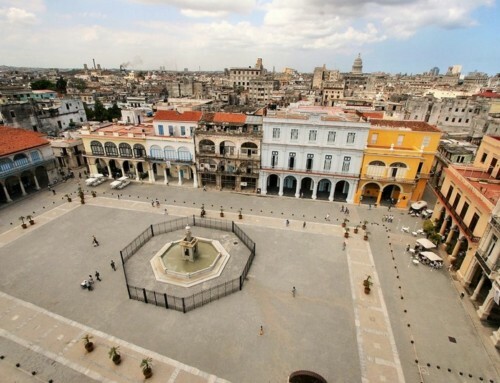 Hi Mario, we are a group of 4 people visiting Cuba from May 4th to 10th. We are planning to visit Havana, Trinidad and Vinales. We could use some advice on good places to stop or driving routes to take, on our road trips between cities. For example, on the trip down from Havana to Trinidad, we hoped to take a coastal route. For the trip from Trinidad to Vinales, we hope to take an inland route, and maybe stop also at Cienfuegos. Could you also recommend some places to stay at each place we spend the night? This includes Trinidad, and Vinales. It would be great if all 5 of us can fit in one minibus, and if an extra car can be arranged for the one of us who is leaving earlier, to deliver her from Trinidad to the Havana airport. Congratulations on planning your trip to Cuba. It should be great fun. I will help you in any way possible. First, I would like to give you some advice concerning your itinerary. 1) It is ambitious and you will be spending a great deal of time in a car. 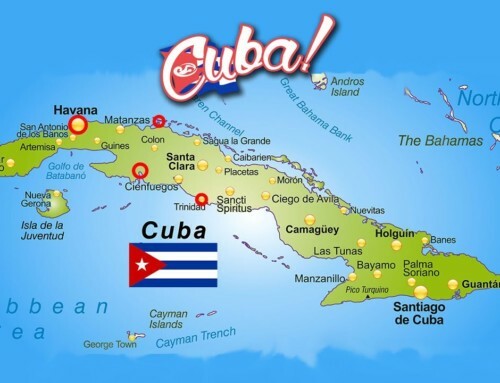 Cuba is very large and the trip from Havana to Trinidad takes about 5 hours. So, to go and come back you spend at least 10 hours in a car. The trip from Havana to Vinales is about 3 hours, so that would be 6 hours round trip. Sometimes the trips are a bit shorter, if the roads are good, but generally, with a bathroom stop or a picture stop added, you will not be able to go much faster than that. So, all told, seeing all these destinations will consume about 16 hours of your trip just in highway travel. There is basically nothing along the roadside that you should stop at for viewing. Cuba is structured with cities and towns and almost nothing in between. This is because Cuba is very poor and the government does not have the money to provide infrastructure to the whole island. The government puts water and electricity in the main cities and the rest is just pretty much uninhabited land. Along the highway there are sometimes lookouts which have small restaurants on them (example here: https://www.youtube.com/watch?v=UbhOoWifp6M). While the views are nice, it is usually not worth it to stop just to take photos. Trinidad is much more scenic and you can just take photos there. 2) In my opinion, you should either do Trinidad or Vinales, but not both. Also, the two locations are very similar and the activities in each location are similar. It might be better to focus on 1 area rather than spreading your time. 3) For Trinidad, you can go horseback riding in the mountains and bathe in the lakes and waterfalls. There is also a beach nearby. Also, if you want to take a short excursion, you can go to the mountains (Escambray) located just about an hour outside the town. Here there is a nature reserve and it is very nice. The nature reserve is called Topes de Collantes. You can easily book a tour once you are in Trinidad. 4) In my opinion, you would be best off focusing on Trinidad rather than going to Vinales. Vinales is beautiful and less touristy, but it is smaller and there is less to do. Furthermore, around Vinales there is nothing much. But around Trinidad there is also Cienfuegos (a city) , which you could visit if you get bored of Trinidad. The transportation services are no problem. We can take care of everything. A minivan from Havana to Trinidad will be about $200. For your friend who is leaving early, we can arrange a private taxi for $160. If your friend is on a tighter budget, she can find a communal taxi in Trinidad to take her to Havana for about 35$. She would be traveling with other people in the taxi but it would be more cost effective. Or, if she takes the private taxi option, she can simply find a few other people in Trinidad to split the bill with. It is very easy to find tourists who want to ride share in Trinidad. The communal taxi will drop him off in the city of Havana, but a private taxi would take him all the way to the airport. Cuba has only 1 main highway which crosses the country (Highway 1 on Google Maps). It goes down the middle of the country and hits all the main cities. It does not take any coastal routes. 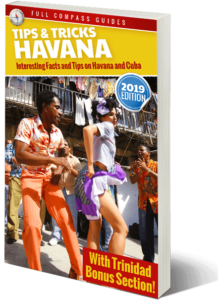 The ride from Havana to Trinidad would go from Havana, down Highway 1, and then take a small (1 lane in each direction) highway to Cienfuegos and then a smaller road to Trinidad. The last small road is a bit coastal, but you won’t see much water. The roads cannot be built near the water because then they get wiped out when there is a storm. All roads are built away from the water. In any case, the choice of roads depends completely on the driver. They decide the best routes depending on road conditions. Some roads in Cuba are in a terrible state and drivers use alternate routes in order to avoid them. But as I said, most of the driving will be on the main highway and there is almost nothing coastal. If you want to visit Vinales, it is no problem. I just wanted to make it clear that it might not be needed. But either way, we can provide the transportation there and have many nice rental units available. Both Vinales and Trinidad are rather small and we would always either house your whole group in 1 house, or in neighboring houses so you would never really be separated by more than 10 steps. We have some nice rentals in Vinales and Trinidad. Once you decide on your firm itinerary, I can call the landlords and make the reservations. 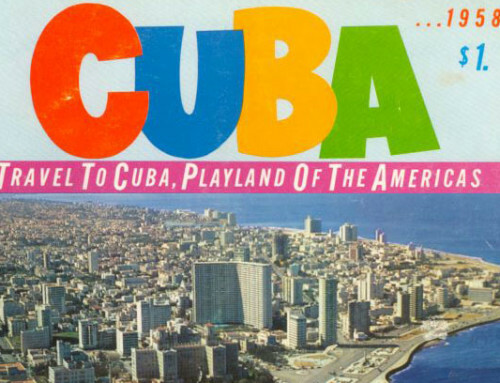 Incidentally, many foreigners set up an initial trip to Cuba as you have. Visiting Havana, Vinales and Trinidad. The general advice is to focus on just 2 out of these 3 locations. My suggestions is to spend the first part of your trip in Havana. It is a large city and it’s packed with people and action. 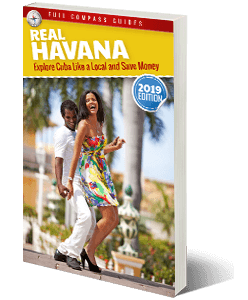 You should spend at least 3 or 4 days in Havana, exploring all the different neighborhoods (Check out these free neighborhood guides). 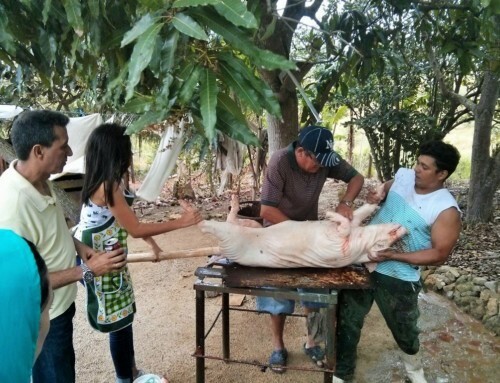 Then, take a s trip to either Vinales or Trinidad and see what life is like for rural Cubans. Vinales is only a couple of hours from Havana and it’s a beautiful small town nestled on the edge of a gorgeous valley. Trinidad is about twice as far away from Havana, but it is a larger town with historic architecture, surrounded by mountains, with a beach nearby. Here are some posts on a Reddit message board from the last week with similar questions and some answers from other people in the Cuban community. I hope all this info helps and please ask me if you have other questions and tell me once you have made your trip itinerary official. Besides the resorts is their anything special in varadero? How far is it from Havana.? Also how far is Santiago de Cuba from Havana. Varadero is about the beach and the resorts. I would say that there is no other reason to visit. It is located 180km from Havana (2 hours drive). Santiago de Cuba is very far from Havana. It is 900km from Havana. On a good day, it is about 12 hours of driving. I do not recommend going there from Havana unless you really have a strong purpose to be there. It’s a nice place, but it’s not convenient to go to from Havana.